Prepping and packing for a cruise is hard work, especially if you’re also trying to figure out Alaska cruise excursions. Beyond bringing enough clothes and shampoo, you need to remember to book a sitter or kennel for your pets, hold your mail, and dozens of other small to-do items that can pile up. This list of apps, both free and paid, will help you prepare for your cruise and get you in the right mindset to really enjoy your vacation. It’s especially helpful for folks planning cruise trips to Alaska and prepping for Alaska cruise excursions. TripAdvisor is like, THE advisor…of trips. Basically, I’m saying the name is pretty fitting. 225 million reviews available to peruse filled with maps, photos and tons of advice. The “Near Me Now” function will tell travelers all about restaurants and attractions close by and many times even hidden gems that have been discovered by previous travelers and locals, ranging from the world’s biggest water tower to a hole in the wall restaurant that serves the best pancakes by waiters wearing costumes. Interaction is appreciated and encouraged. Feel free to quickly and easily upload your own photos and experiences for other travelers to learn from. If you’re looking into cruise trips to Alaska, this app is a big help, as it describes a number of Alaska cruise excursions in some detail. It’s also great, though, for other destinations. Make sure to shop around, though, as the TripAdvisor won’t necessarily point you to resources with the lowest prices! GateGuru makes airports more fun, and less “airport.” Know ahead of time what shops and restaurants will be waiting to keep you occupied on your layovers. Bonus feature: airport security wait times are posted. Airport frustration stress can be severely decreased with GateGuru. It covers 125 US Airports, 17 Canadian, 31 EU, 29 Asian and 2 Australian. Chances are, GateGuru has your airport on their list and at the very least you can cut some of your waiting time down, taking some of the stress out of cruise trips to Alaska. Groupon is the granddaddy of the daily deal sites, and chances are Groupon will have some great deals in the area you are traveling to. Activities, restaurants, and even shopping are included in Groupon’s deals. No need to print out the certificate, Groupons can be scanned directly from the phone they were purchased on. Importantly, Groupon lets you save a little here and there so you won’t have to feel bad about booking the exact Alaska cruise excursions you’re most excited about. If you are looking for (sometimes, painfully) honest reviews of local restaurants and services once you reach your land destination, Yelp is the way to go. Downside: it is 100% user generated so, not every hidden treasure will be included. If you would like to update your own review, simply create an account or use one you already have. When choosing airfare to get to and from your port, Skiplagged has your back. Using a confusing and kind of “strange” algorithm, they can offer flights for $$$ off the prices you will find on the regular booking sites. A few caveats: no checked bags, no frequent flyer miles and there is a chance that your flight could be changed (due to bad weather) to a destination you actually do not want to go to. Yes, I know, it sounds a bit sketchy. Check out their page and read up on how they make the savings possible and decide for yourself if this might be an option for you to take advantage of. Especially for cruise trips to Alaska, where airfare to the departure port can sometimes be pricy, this hidden gem can be a big help. The Get Packed app will ask you 9 questions and based on your answers, it will produce a personalized list of items you simply must not forget! Complete with travel checklists and reminders relating to things that may still need to be done at home, like canceling the newspaper for a week and getting some travelers insurance. Packing List app is a great alternative to Get Packed, because, well, it’s free! It does come with suggestions on what to pack, but mostly it allows users to create their own packing lists. A nice way to organize your trip with this app is by using the grouping categories. Excursion Supplies, Outfits to Wear to Dinner, Emergency Medicines to Not Forget, you can create a category for anything…all completely customizable to what travelers want to focus on most. Lists can be printed and emailed for safe keeping should your phone get misplaced during an adventure. Note: For folks planning cruise trips to Alaska and Alaska cruise excursions, this packing list article can be quite helpful. Shipmate is the OG of cruise apps. It covers over 300 ships, including dozens for cruise trips to Alaska, and 14 Cruise Lines. Over 1 million downloads so far and with good reason. Itineraries, excursion options, cruise countdown clocks and extensive ship info do not even begin to cover everything this app has to offer. Check out the forums for reviews and discussions led by current and past guests to know exactly what you do not want to miss out on. Cruise Trip Planner is easy to use and tablet friendly. A 280-point checklist will make sure you don’t forget to bring that toothbrush. Organization features can appeal to every type of traveler by offering labels, categories and color coding options. Lists can be shared with friends, emailed or printed. 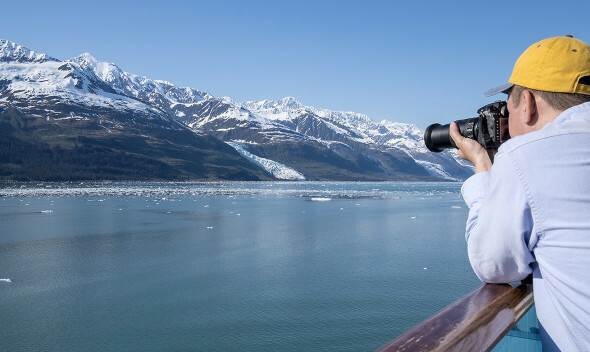 Cruise Trip Planner will cover all of your bases for cruise trips to Alaska, letting you prep for those Alaska cruise excursions, or will help out wherever you’re headed. Remember the old days, when those vintage postcards would arrive in the actual mail (!) bearing messages such as “Wish you were here”? Well, those days are back. Except now no trip to the airport gift shop is needed for picking up the postcard, and the best feature of all – they are customized with photos taken with your phone and can even be picked from uploaded pictures on Instagram or Facebook. Put those selfies to good use and send someone a piece of mail that will make their day. One push of a button from your phone and your postcard is sent! A must for cruise trips to Alaska, since the scenery on Alaska cruise excursions is simply indescribable! Instagram is not only a great place to show off those photos you are taking on your trip but also to search for hashtags (#) related to your final destination. You might find some cool sites you haven’t discovered on any of the other apps listed here. It’s kind of like internet-stalking your vacation. 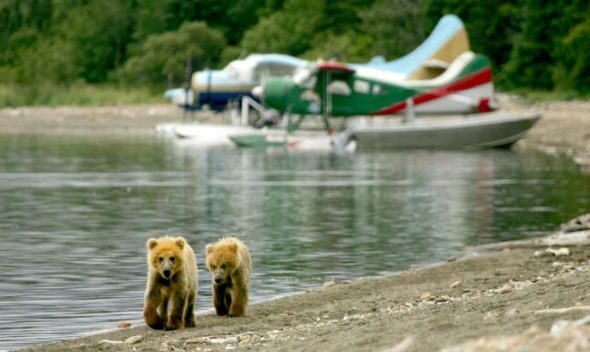 And for AK visitors, you can sneak up in advance to learn about Alaska cruise excursions. The days of the bulky home video cameras are long gone. Heck, the days of the long home video are gone with them. Sign up for Vine and create 6-second looping videos of your favorite Alaska cruise excursions and wildlife sightings to share with friends or keep private for your own memories. When Ansel Adams took a picture of a mountain, it was majestic. Yet, somehow when the rest of us do it, it doesn’t quite come out the same way. Snapseed will fix that for you. Very user-friendly with tons of editing options to make your vacation photos come to life and reach that museum quality we all strive for. Ok, maybe not that good, but pretty darn close. Perfect for documenting and editing pics from Alaska cruise excursions. Get yourself in the Alaska spirit in the days leading up to cruise trips to Alaska with gorgeous pictures of the best that Alaska has to offer. The Aurora Borealis, wildlife and mountains will give you a reminder every time you look at your phone, that soon you will be viewing these sights with your very own eyes on Alaska cruise excursions. Alaska Magazine is published 10 times per year and with this free app, it can be delivered straight to your phone. Before visiting the state, enjoy photography, adventure tales and advice as to where to catch the best salmon. Annual special editions are dedicated to winter activities and the advice they offer travelers is expert level. The magazine has been in print since 1935, so they must be doing something right. Check it out and be totally “in the know” before you get there. Before you know it, you will be blending in with the locals like an old friend. 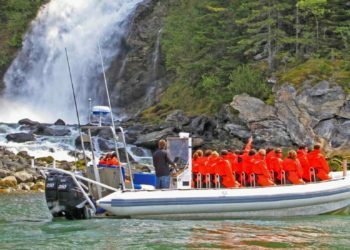 Cruise trips to Alaska will benefit greatly from this one, as you’ll have a chance to grab even more background info on Alaska cruise excursions. Vacations are a time to let go and relax. While making new friends aboard the ship or talking with locals, it’s hard to always have a pen and paper handy to get email addresses to keep in contact with a freshly made friend or write down a suggestion of an absolutely fabulous shop that was just recommended to you. Simply open up Dragon, dictate a voice note and with one push of a button your note is emailed to you or texted to your phone. Easy-peasy. Mint is a financial app, which may seem a bit out of place on a list of best apps for cruises, but trust me there’s some logic with its inclusion. Vacations should be free of worrying and that includes worrying about money. With Mint, travelers can set up budgets for eating out or souvenir shopping and receive alerts when they have crossed that threshold so no sticker shock when you get back home and realize you have to eat Ramen for the rest of the month. Also, Mint can set up automatic bill payments, so no worrying about paying that credit card late while off having fun exploring. Last, but certainly not least; Mint can help you save money. Download Mint a few months before your cruise and create a special savings plan so in the event the car breaks down the week before your cruise, you still have a nice “spending money nest egg” to enjoy yourself with. Evernote might as well be called the “Everyone’s Favorite Note App”. The app syncs between all of your devices and lets users write reminders and checklists to help get all of their thoughts in one place. The app allows for files to be attached, such as itineraries or maps, and its agenda creation features are awesome. If traveling in a group, such as a large family, Evernote can be linked up with multiple users so no one is left behind a la Home Alone. This one is great for cruise trips to Alaska, as it can let you keep tabs on all your Alaska cruise excursions and port times. The Nick Jr. (or Nick app, depending on the device) is here for one reason and one reason only: sanity. That is, providing sanity for the adult traveling with children. If there is WiFi, there is entertainment. Go ahead, just hand the kid the phone to watch full episodes of Spongebob for free. It’s totally alright. No one is going to judge you. Because the alternative is a meltdown on an airplane or in the middle of dinner, which is going to be way more of a downer. Waze is like a GPS party that all of your friends are invited to. Waze community members will get you around town in the easiest, traffic-free ways possible. Unlike the local who might tell you things like, “It’s a little ways down the road.” or “You can’t get there from here.” Waze is that awesome friend who always knows the shortcuts that work just perfectly. Leave your home desktop on sleep mode and install the Chrome Remote Desktop App for peace of mind that you didn’t forget anything important on your computer. Google Translate will get you out of a bind by offering 90 languages to translate to whatever your native tongue is. It can translate voice, pictures, keyboard or handwriting. Easy to use and if you have ever had any Google apps before, the format will be familiar. No internet required for non-Apple devices. iTranslate does require internet access, so it might not be the best choice for bonding with that new friend you met while hiking in the mountains. But it has some cool features such as male and female pronunciation of dialects and Romanization of characters. If you’re researching for cruise trips to Alaska, this one might not be needed, but especially if you’re headed abroad this app is amazing! Did we miss any crucial apps? Let us know in the comments!